Theatre was at its peak during the reign of Queen Elizabeth and it was at that juncture that the bell inn gained its popularity. 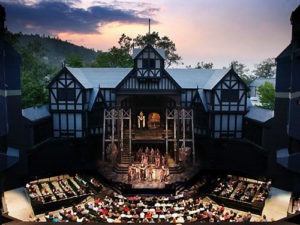 Elizabethan theatre comprises all the plays that were written and enacted in full view of the public during her reign which extended from the year 1558 to 1603. It has also been referred to as ‘early modern English theatre’. It was a period of renaissance in which England saw the creation of the highest quality of works in the field of art and literature including plays by William Shakespeare and Christopher Marlow who are remembered even now for some of the greatest works of art to have ever come into existence. Those plays are some of the most watched plays even today but the origin of Elizabethan theatre dates a long way back. In the 16th century, the artists formed troupes and would travel to different places giving their performances. They used to stay in inns or taverns and there they would talk to the owners of these inns into letting them perform in their yards. During that time the method of traveling was on horseback and hence the theatres inevitably had cobblestoned yards which were surrounded on all sides by the balconies of the rooms of the yards. Amphitheaters were mostly open air and hence could not hold shows in winter and playhouses had not come into existence then. These inn yards became the most popular venues of hosting such plays. One of the most important sites of holding such plays was the bell theatre. 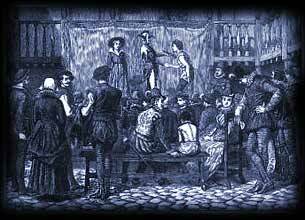 It was located in Eastcheap in London and the plays were held in temporary stages built by the troupes themselves in the courtyards. It could seat about five hundred people and the people would have to pay a small amount of money to be able to watch the play from the courtyard and a slightly higher amount if they wanted to watch it from the balconies of the surrounding rooms. And led to the establishment of the modern theatres were such plays are performed. The bell inn is still considered to be one of the heritage sites which had a role to play in the development of Elizabethan theatre.